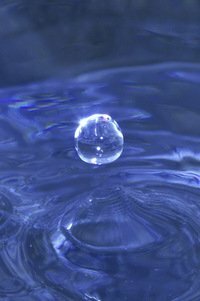 Water Law Category Archives — Texas Oil and Gas Attorney Blog Published by Texas Oil and Gas Lawyer — Aimee Hess P.C. As many Texans are aware, hydraulic fracturing (“fracing”) uses a lot of water. In fact, one of the important ways in which Texas oil and gas lawyers assist their clients is to make sure that the oil and gas leases they sign contain appropriate protections for the client’s freshwater sources. ConocoPhillips recently announced the availability of its “Water Visualization Tool” to use in discussing their water use with landowners in the Eagle Ford Shale. This is a 3D modeling tool that contains a model of the subsurface based on data from state and federal public databases, such as the US Geological Survey. With this tool, the oil company can demonstrate to a landowner the location and depth of the reservoir from which it is obtaining water and the spacing between horizontal wells and water sources. The Water Visualization Tool sounds like it will assist in clear communication between oil companies and landowners. However, the more important issue is the need to continue to push to find non-freshwater sources for water used in fracing. For example, ConocoPhillips itself used municipal wastewater from Karnes City, Texas in the fracing of its wells in Karnes County. Other companies have used brackish water or are recycling water to use in fracking. Last year, the Texas Supreme Court decided the case of Coyote Lake Ranch, LLC v. City of Lubbock that dealt with whether the “accommodation doctrine” should be applied to groundwater. The accommodation doctrine is actually an oil and gas doctrine, which states that absent an agreement to the contrary, an oil-and-gas lessee has an implied right to use the surface of the land as reasonably necessary to produce and remove the minerals, but must exercise that right with due regard for the surface owner’s rights. Coyote Lake Ranch, in Bailey County, Texas in the Texas Panhandle, is a fairly large ranch, used primarily for agriculture and raising cattle. Most of the ranch is covered with sand dunes covered by dune grasses, although some parts of the Ranch are irrigated cropland. The Ranch gets its water from the Ogallala Aquifer, which is the principal source of water for the high plains of Texas and several other states, including Lubbock. Building A Pond On Your Own Property and the EPA Will Get You! You wouldn’t think that building a stock pond on your own property would be something that requires the approval of the United States Environmental Protection Agency (EPA) would you? One unsuspecting family in Wyoming found out just how far the EPA was willing to go in an effort to “protect the environment.” According to a recent article by FoxNews, the Johnson family, in Fort Bridger, Wyoming, built a small stock pond on their farm in order to support their small herd of livestock. The Johnson’s obtained state and local permits for the pond. After the pond was built, the EPA sent the family threatening letters and slapped them with a fine of more than sixteen million dollars, (i.e., $37,500 per day from the time the pond was built), for not having obtained permission from the EPA to build the pond on the their property. The EPA even demanded the stock pond be deconstructed. The EPA claimed it had authority to issue the fine because the Johnson’s pond is fed by a natural stream, and under the federal Clean Water Act, the EPA believed that the Johnson family should have obtained federal approval to build the pond and should have gotten a permit from the U.S. Army Corps of Engineers. According to the EPA, the Johnson pond was build by creating a dam on a creek and the act of building a dam on a natural waterway requires an Army Corps permit. The EPA also claimed that material from the Johnson’s pond was washing into other waterways. No other environmental problems with the pond were identified by the EPA. I discussed this important decision in my March 5, 2012 article (that you can access here), but there remains a lot to be discussed about this opinion, particularly because the Court’s decision raised some questions in addition to answering others. Readers may recall that the Court held that landowners own the groundwater under their land, thus treating groundwater similarly to subterranean minerals, such as oil and gas. However, Judge Hecht’s opinion for the Court notes that regulation of groundwater is still within the state’s power. He noted that in many areas of Texas, including where the Edwards Aquifer is located, the demand for water is greater than the available supply. However, the decision goes on to say that although the State of Texas is empowered to regulate, when a landowner believes that the regulation is unreasonable, they can take the issue to the courts. In the wake of this decision, it is still unclear how the San Antonio area will be affected. The water for that area is controlled by the regulations of the Edwards Aquifer Authority (EAA). The chairwoman of the EAA’s Board of Directors, Luana Buckner, said that this decision left the Authority with more questions than answers about how to move forward. She noted that the decision confirmed that the EAA followed the correct procedures, as set out in the Edwards Aquifer Authority Act. However, she believes that the decision gives no guidance as to whether following the correct procedures to limit water pumping always requires the EAA to compensate landowners for limiting their rights. The Supreme Court of Texas left it up to a trial court to determine whether Mr. McDaniel, the sole surviving Plaintiff in the case, should receive compensation. Supporters of the Plaintiff’s position believe that, regardless of the how the case is finally resolved in the lower court, the Texas Supreme Court’s confirmation that landowners can turn to the courts to adjudicate these groundwater disputes is incredibly important. Recently, the Texas Supreme Court issued an important opinion that clarified a Texas landowner’s groundwater rights. In the case of Edwards Aquifer Authority and the State of Texas v. Burrell Day and Joel McDaniel the Court was faced with the issue of whether land ownership includes an interest in groundwater in place, which therefore could not be taken for public use without the adequate compensation mandated by the Texas Constitution. The Court found that it does, and used Texas oil and gas law to assist in its reasoning, comparing the characteristics of mineral rights to groundwater rights. Burrell Day and Joel McDaniel bought land situated over the Edwards Aquifer in 1994 to grow oats and raise cattle. A well for irrigation had been drilled in 1956 but had collapsed or been removed by the early 1980s. However, water continued to flow due to artesian pressure, contributing much of the water to a lake on the property. To continue to use the well or replace it, Mr. Day and Mr. McDaniel needed a permit from the Edwards Aquifer Authority. The Authority has detailed, strict requirements that are based heavily on historical use for water from this aquifer, which supplies most of the water for south central Texas. Mr. Day and Mr. McDaniel requested a permit from the Authority to allow them to draw 700 acre-feet from the well. The Authority granted them a permit for only 600 acre-feet. They took the matter to an administrative judge, who found that the historical use for this property was only 14 acre-feet.Mr. Day and Mr. McDaniel appealed to the District Court, where they alleged that the Authority’s denial of their requested use was an unconstitutional taking without compensation. The Texas Constitution allegation required the State of Texas as a party. The Texas District Court granted Mr. Day and Mr. McDaniel’s claim on the issue of the amount of water allowed to be used, but it denied relief on the constitutional claim. Both sides appealed that ruling. The Texas Court of Appeals reversed, and held that landowners have a right to the water under their land, but that groundwater flowing into a reservoir for public use was “state water” and therefore subject to regulation. All three parties-Mr. Day and Mr. McDaniel, the Authority, and the State-petitioned to the Texas Supreme Court to hear this case. In a decision by Justice Hecht, the Court found that groundwater in place beneath property is owned by the landowner and restricting its use can constitute a taking under the Constitution which requires adequate compensation. The Supreme Court found that the Authority’s process of allowing water based on historical use was contrary to the Texas Water Code. The State and the Authority failed to show why the Authority’s permit process should be more restrictive than the Water Code. Finally, the Supreme Court held that a landowner cannot be deprived of groundwater under his property either because he did not use it previously or because the water supply is limited.